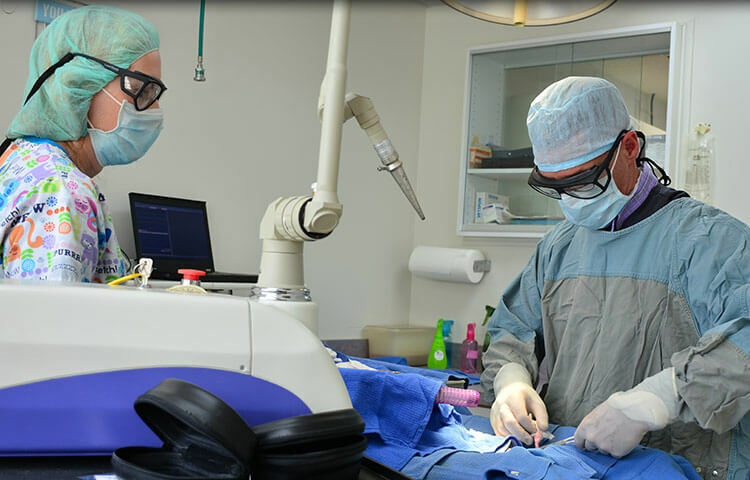 We are proud to offer both radiosurgical and laser surgery as progressive new options for our clients who want the safest and least painful treatment for their pets. Benefits include less pain and inflammation, less bleeding, extreme precision, reduced risk of infection and quicker recovery. 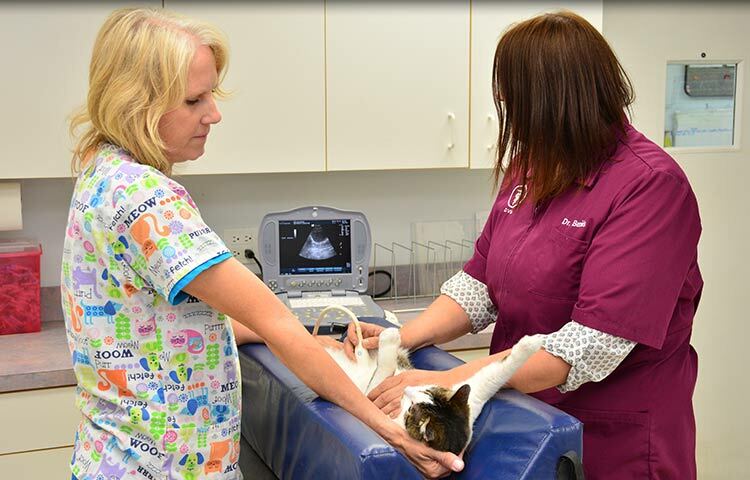 We are happy to discuss whether laser surgery would be the best option for your pet. Additionally, we are partnered with Dr. Bernard Pare. He is a board-certified orthopedic surgeon who performs procedures at CLVH, on an as-needed basis. 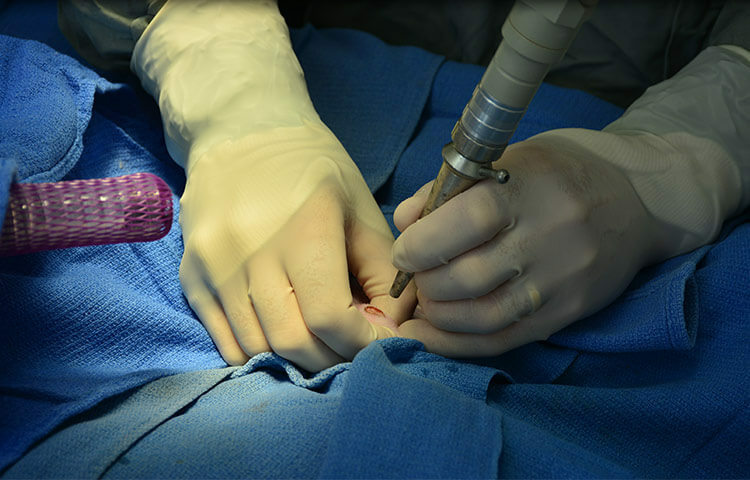 He, along with our technical staff, are well-equipped to handle all major orthopedic surgical needs.